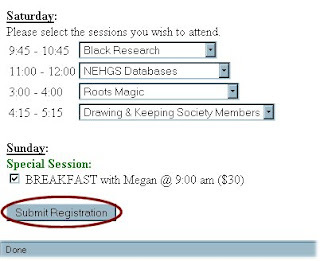 The Washington State Genealogical Society's 2009 state conference will be upon us before you know it. September 11 through 13 is the weekend, the Davenport Hotel in Spokane, Washington is the location, and the Eastern Washington Genealogical Society is proud to play host for this event. My co-bloggers over at the EWGS blog, Donna Potter Phillips and Charles Hansen, have been busy researching and writing about all the events, speakers, activities, transportation, facilities, etc. surrounding the conference, and I'll be adding information about the great vendors that will be in attendance, as well. 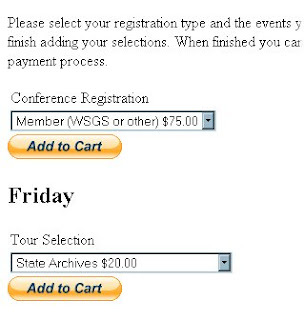 To keep up-to-date on all the conference posts, be sure to bookmark the 2009 State Conference label on the blog. You can also add the EWGS blog to your daily reads at Bloglines, Google Reader, or any of your favorite feed readers here. 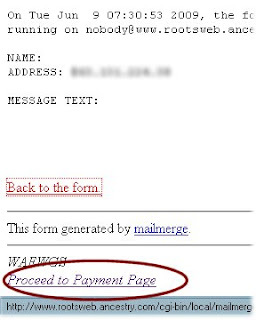 If you prefer to read your blogs via e-mail, you can sign up to receive them through FeedBlitz. P.S. There will be a number of Geneabloggers (genealogy bloggers) in attendance at the conference, and we are looking to meet for a GB event. Please contact me if you are interested. Although I'm sorry I'm missing the Southern California Genealogical Society's Jamboree (and all the great Geneablogger gatherings! ), I have my own celebrations this weekend that I wouldn't have missed for all the world! Among the MANY family birthdays, anniversaries, and graduations this month...among the MANY special family birthdays occurring this month, (1st, 18th, 50th, 60th, and 65th--two of the latter!) is my mother's 65th birthday today. That in itself is pretty special. Additionally, her brother/my uncle decided to make it extra special by taking some time off work at his job for a railroad in Western Michigan to be here as a surprise for her. He arrived early yesterday morning and we spent quite a bit of time visiting all day long. He brought with him two packages from my grandparents' estates, one for me and one for Mom, full of documents and photos from my mother's, grandmother's, and great-grandmother's childhoods. There are photos of my Great-great-grandparents HOEKSTRA, and another of my Great-great-grandmother DeVRIES, treasures because I'd never before seen photos of them. There are also photos of siblings and cousins of ancestors which now give me faces to go with the many names I've researched over the years. It's been a priceless weekend: seeing the look on my mother's face as she walked into my home and saw my uncle ("there's a package from Michigan in the living room for you, Mom! "); and seeing the my ancestors' faces gazing back at me from vintage photo albums. Tomorrow morning, I'll begin scanning the treasured photos of my ancestors. I hope you'll join me from 11 AM to 2 PM, Pacific Daylight Time for Scanfest. My name is Miriam Robbins Midkiff, and I live in Spokane, Washington, USA, about 15 miles west of the Idaho border, the largest urban area between Seattle and Minneapolis. I've been married for 22 years, and we have two good-looking, intelligent, and compassionate teens (one of each), a high-school graduate and an incoming sophomore. By turns we are adored or ignored by our frisky middle-aged tabby, Tessa. I've been a special education paraeducator with my local school district for nine years, where I work with developmentally impaired teens at the middle-school level. I also teach online genealogy classes (basic and intermediate) through the local community college district and the county library district. I'm a member of the Eastern Washington Genealogical Society, am active on several committees--including co-authoring their blog--and teach and speak at both EWGS and other societies in the Inland Northwest. I'm a co-administrator at Facebook's Genea-Bloggers Group, and have several other blogs I (try to) maintain! I also recently started a new website, the Online City, County, and Rural Directory website. Have you ever wished you could find links to all the online city directories in one place? A place where they were listed by location and in date order? This is the purpose of the Online City, County, and Rural Directories Website. It is meant to be used as an aid to genealogists, historians, and other researchers. My goal is to have a complete listing for city, county, rural, business, and other types of directories for the United States and Canada, and then go on to add directories for other countries. I also have lists of resources, articles, and ideas of where to find offline city directories. And there is an accompanying blog (of course!) where you can see the latest updates and new pages on the site. Although I can't attend Jamboree this year, I will be attending the Washington State Genealogical Society 2009 State Conference in Spokane on September 11 - 13 at the world-famous Davenport Hotel. I'm on the conference committee and we have a wonderful lineup of speakers and vendors including Megan Smolenyak Smolenyak and Bruce Buzbee. I hope you can attend! As you can see, genealogy is a huge part of my life. I began this blog as an outlet for the need to write about something--anything--on a regular basis. I can't not write! "AnceStories" was a word I coined when I created a website years ago to write the stories of my ancestors. 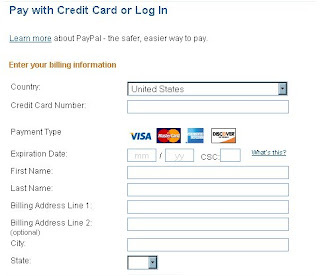 I discovered blogging was a lot quicker and easier than creating web pages. Series are especially interesting for me to write, but I admit that I'm not always good at wrapping them up! The first day of every month, I post a Calendar of Events. I also will post press releases for genealogy-related companies, but rarely do reviews of products (non-fiction books seem to be my main exception to that rule). It's through this blog that I explain, announce, and invite others to participate with me in Scanfest. We will be having a Scanfest this weekend here at AnceStories, so if you get a chance between sessions, please drop by and join the chat! I enjoy receiving comments from my readers, and try to follow up on them regularly. Now that summer vacation is here, I plan to be spending more time blogging on a regular basis. Please know that I read all comments before publishing them, as well as any e-mails I receive. The best way to get to know me within the framework of this blog is to become a regular reader by bookmarking this blog or subscribing via e-mail or a feed reader (see upper right-hand margin to enable any of those features). Visiting my profile will also tell you a bit about what motivates me to write. While I mainly write for my own pleasure and to record my family's history, it always encourages me when I receive "fan e-mail," too! Thanks for stopping by and taking the time to get to know me and AnceStories a little better! 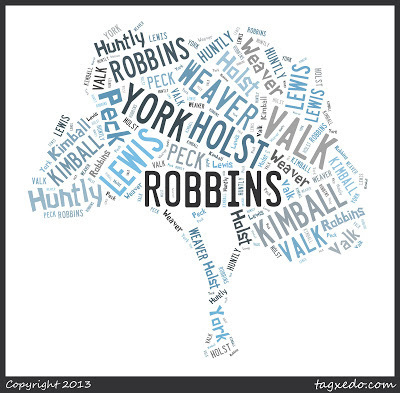 My maiden name is ROBBINS, and I have been able to trace this line definitely back seven generations (not counting my own) to two 5th-great-grandfathers, both of whom were ROBBINSes. My 4th great-grandparents were Joseph Josiah ROBBINS (1820 - 1905) and Marinda ROBBINS (1824 - 1912), and whether or not they were related to each other is not known to me. Joseph was the son of George ROBBINS of Otsego County, New York (some records indicate he was born in New Jersey, Massachusetts, or Connecticut) and Marinda was the daughter of convicted murderer Uzza ROBBINS (b. c. 1792 in Vermont or New York) of New York and Pennsylvania, who was hung in 1850 for his crime. 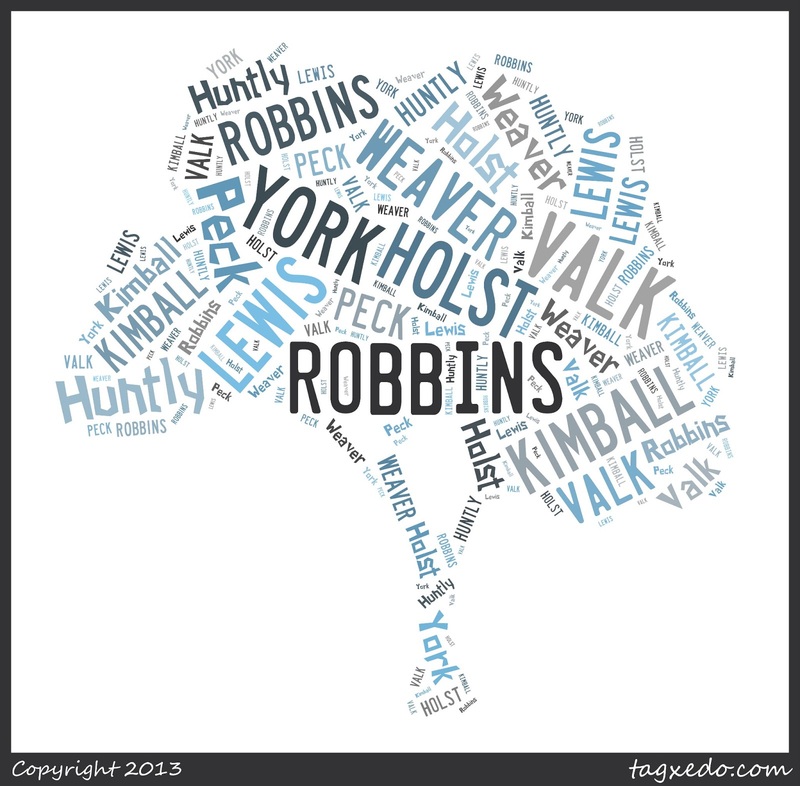 The ROBBINS Family History on my website. Ahnentafel #128: I have seen information that gives the possibility that my George ROBBINS may be the George Washington ROBBINS of Connecticut who married Abigail HICKS and died in Chautauqua County, New York by 1854, but I have not yet found evidence to satisfy me. Ahnentafel #130: Uzza ROBBINS' story of his crimes (he murdered his second wife and attempted to murder his step-daughter; later it was determined he murdered his son in another incident) and his beheading after his execution (the first in McKean County, Pennsylvania) and three disinterments are fascinating and can be read here. #64: Joseph Josiah ROBBINS was a Civil War veteran and his story was written in the history of Oceana County, Michigan. It can be read here. Three of his sons were named a variation of Ben! #32: Joseph and Marinda ROBBINS' oldest son Charles H. ROBBINS (1844 - 1934) was my ancestor. He also was a Civil War veteran who fought in many of the famous battles, and I have told his story here. #16: Charles' son Angelo Merrick ROBBINS (1874 - 1923) was a schoolteacher who died young due to a ruptured appendix. You can read his story here. #8: Angelo's son, William Bryan ROBBINS (1896 - 1972), served during WWI in North Russia as a Polar Bear. Read more here. I've also written extensively about his experiences in North Russia on this blog. #4: My beloved paternal grandfather, Robert Lewis ROBBINS (1920 - 2003), was a WWII veteran, and you can read all about him here. I remember how well he could ride a unicycle! George ROBBINS' line: Otsego Co., NY > Chautauqua Co., NY? The June 2009 Scanfest will be held Sunday, June 28th, from 11 AM to 2 PM, Pacific Daylight Time. Scanfest is a time when family historians, family archivists, genealogists, and genea-bloggers gather to scan their precious family photos and documents while chatting with others about genealogy, preservation, and everything else under the sun! You can visit our May 2009 Scanfest to get an idea of what it's all about, here and here. On Sunday at 11 AM, PDT, come right here to AnceStories and you'll see the CoverItLive live blog/forum in the top post. It's not really a "chat room," per se, it's more like a live forum and anyone visiting this site can read and see what is happening in the forum. We also hope to connect with those who will be at the Southern California Jamboree! I was honored to be awarded by ten geneabloggers with the Janice Brown Puckerbrush Blog Award for Excellence a couple of weeks ago. What on earth is this award, you say? Terry elaborated a bit further in a comment: "On any land allowed to go fallow and left untended, a wild assortment of wild plants grow – in some areas, this wild growth results in such a thicket of plants that it is almost impossible to push your way through the growth. So it is with the growth of blogs — so many that it is impossible to read them all. But in the puckerbrush eventually a few plants/trees become dominant and influence all who view them through the thick surrounding puckerbrush. And it is those outstanding blogs whose influence spreads beyond just the surrounding rabble of puckerbrush that I’m honoring." Terry issued this challenge: Henceforth these awards will be called the Janice Brown Puckerbrush Blog Award for Excellence. All blog authors are hereby challenged to name the ten blogs which have influenced their writing the most and list them as a tribute to Janice — the Janice Brown Puckerbrush Blog Awards for Excellence. As you can imagine, it is very difficult to choose only 10 blogs that have most influenced me, because I can't think of a single genealogy blog that hasn't influenced me in some way. In the list below, the first six mentioned were the first six genealogy blogs I ever stumbled across. 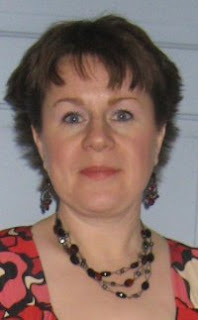 The subsequent four are those who I feel have brought a quality standard to genealogy blogging that I hope to emulate! 1. GenealogyBlog by Leland Meitzler - the first time I heard the word blog was in 2005 when my friend, mentor, and fellow EWGS member Donna Potter Phillips stood up in front of our society and mentioned that Leland was starting a blog on genealogy. At that time, it was a team effort, and Donna was one of the bloggers. This blog has evolved over time and is, in my opinion, the go-to place to learn about all that's new and up-and-coming in the genealogical world. Leland is also one of the few genealogy bloggers that I met, although at the time, geneablogging wasn't as big as it now is! 2. Genealogy Education by Ken Aitken - Although Ken has since passed away, his son has thankfully continued to leave Ken's useful blog online for those of us who are involved in genealogy instruction and presentations. This just goes to show that the words we write and the lessons we leave can influence others far beyond our life span. 3. Genea-Musings by Randy Seaver - When I began reading Genealogy Education, I noticed there was this one reader that was always commenting on Ken's great posts. I soon discovered that the reader had his own blog, and it was then that I became a fan of Genea-Musings! Uncle Randy always has great, relevant information in his posts with detailed reviews and statistics, and reading his blog makes me wish I was independently wealthy so that I could blog 24-7 as he seems to do (my summer vacation as a school staff member gives me just a taste of full-time blogging...enough to whet my appetite and frustrate me all school year long!). 4. GeneaBlogie by Craig Manson - when I first came across Craig's blog, I was intrigued by the description of his ancestry he had listed at that time on the blog. Craig's roots are African, Native American, and European, and I thoroughly enjoy reading about his diverse research. He brings his expertise as a law professor to both his research and his writing. Craig's blog was the first African-American genealogy blog I came across and it was by reading his that I learned the worth of reading genealogy blogs written by those with different ethnicities and races than my own. Unlike researching American roots that lead into Western Europe, those with African, Native American, Eastern European, Asian, or Jewish roots must use a variety of alternate records and resources and are constantly challenged to think "outside the box," valuable lessons for any of us trying to break down our brick walls. 5. Creative Gene by Jasia - there isn't a geneablogger out there that isn't familiar with Jasia's Carnival of Genealogy, the oldest and most consistent genealogy blog carnival in existence. It was by writing and submitting posts for the carnival that my blog became widely read and I'm certain the same is true for many other bloggers. I connected with Jasia because of our shared Michigan roots, although our heritage comes from different parts of Europe. Jasia is one of the top geneabloggers that I would love to meet someday, because she is more than someone who also blogs about her genealogy; she has become a good friend. 6. The Genealogue by Chris Dunham - Chris does a couple of services to the geneablogging world. First and foremost, he reminds us not to take ourselves, our blogging, or our research too seriously! Secondly, his creation of the Genealogy Blog Finder has put order into categorizing the geneablogging world. There were a few genealogy blog lists out there at the beginning, but they weren't done very well either in organization or in a clean, easy-on-the eyes format and design. Chris is an integral part of the geneablogging world; where would we be without his Top Ten lists?! 7. footnoteMaven by (who else?) the footnoteMaven - my fellow Washingtonian and geneablogger (another whom I've had the pleasure to meet) - has set a wonderful standard of citing sources on her main blog as well as documenting historic photots on her quality digital publication, Shades of the Departed, with its accompanying I Smile for the Camera! Carnival. There is a quote by Ralph Fletcher that always reminds me of fM when I read it: "Artists develop a love for the feel for their tools, the smell and texture of clay, wood, or paint. Writers are no different. Writers love words." 8. Steve's Genealogy Blog by Stephen Danko - Like Jasia, Steve explores his Polish roots on his blog, and like the footnoteMaven, he is equally attentive to citing his sources carefully. His is a unique blog, combining a studious research log with the occasional personal genealogical story submitted to a carnival, or highlighting the flora of his home state of California via photography. I've learned much about Polish history from his blog and although I've yet to find any Eastern European heritage in my family tree, it fascinates me nonetheless! 9. 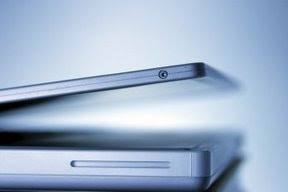 Family Matters by Denise Olsen - I now read a number of technology/genealogy blogs that have been helpful to no end, but Denise's was the first I read, and in my opinion, the best. She has the ability to explain technology in a way a layperson can understand, and better yet, can clarify the applications of the particular item she's blogging about to its use in genealogy. Like many of the above geneabloggers, she has more than one blog, and I've enjoyed learning about Florida history at her Moultrie Creek. 10. Destination: Austin Family by Thomas MacEntee - Although he arrived later on the scene than the above nine, I can't imagine the geneablogosphere without Thomas. He is a leader, a go-getter, and nothing he puts his hand to is unfinished or incomplete. Without him, there would be no Geneabloggers Group on Facebook, no Facebook Bootcamp for Geneabloggers, no Geneabloggers website...in fact the Geneabloggers as a "formal" group simply would not exist. He is every geneablogger's cheerleader, and whenever I think of excellence, Thomas always comes to mind. He is another dear friend that I hope to meet someday soon. As I've said, listing only 10 of the most influential geneabloggers is nigh impossible. Everyone of the 300+ blogs on my Google Reader is an important part of my genealogical and blogging life, and I thank each and every one of you for the work you do! Any third grader here in Spokane, Washington can tell you that Sonora Louise Smart Dodd, a Spokanite, started Father's Day to honor her father, a widower and a Civil War veteran, who single-handedly raised her and her five siblings after his wife's death. Mrs. Dodd got the idea to honor fathers with a day of their own when she heard a Mother's Day sermon being preached. The first Father's Day was celebrated on June 19th, 1910 here in my hometown. In 1916, President Woodrow Wilson visited Spokane to speak at Father's Day services (no doubt he stayed at the world-famous Davenport Hotel, where the Washington State Genealogical Society's state conference will be held September 11-13 this year!). Our local paper, the Spokesman-Review, has an article about a small celebration that took place yesterday to commemorate the 100th Father's Day. It includes a photograph of Mrs. Dodd's grave at Greenwood Memorial Terrace (I'll have to photograph it myself this summer for my Eastern Washington Graveyard Rabbit blog). Next year, a large celebration will be held to celebrate the centennial of the holiday. The Spokesman-Review also has a fun little quiz, which you can take here, to test your knowledge of Father's Day! 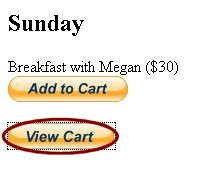 You can also read my post of June 14, 2007 regarding Father's Day for the 26th Edition of the Carnival of Genealogy here. 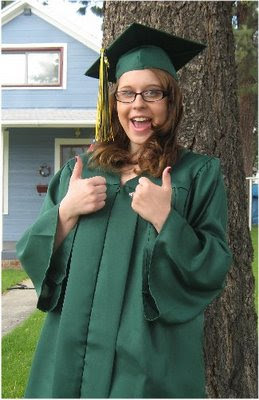 Missy Midkiff, Shadle Park High School Class of 2009. Original in the possession of Miriam Robbins Midkiff, [ADDRESS FOR PRIVATE USE,] Spokane, Washington. 2009. Please note: the Cabinet of Curiosities has been discontinued until further notice.